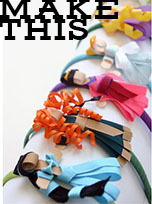 Grosgrain: "Teecycle" Dress Tutorial and GIVEAWAY!!!! CLOSED. "Teecycle" Dress Tutorial and GIVEAWAY!!!! CLOSED. Are you like me? Do you have a box full of old tee shirts. Some are too sentimental to throw away. Others are just too big, too stained or too tight. Don't fret. There are so many things you can do to recycle a used tee shirt. I think you'd be surprised how many wonderful things! I like to call this little hobby- "Teecycling". So I've decided to dedicate a post every week (well in theory) to our old friend, the tee shirt. First 'Teecycle'- a child's tee-shirt dress tutorial. Do you have the same problem as me? Chocolate milk stains on EVERYTHING! Those bastards do NOT come out. The military should look into the power of the chocolate milk stain. It could change the world I tell you. I TELL YOU! This idea works well for soiled shirts. If the stain is near the middle or bottom of the shirt you can simply cut it off. 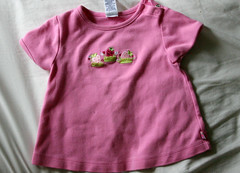 The cute shirt pictured to the left was from Gymboree. I liked the embroidered strawberries and didn't want to throw it away just because it happened to have a chocolate milk stain. Since this was such an easy, simple piece. The only thing you have to do to be entered in this giveaway is to leave a comment in this post. Step 1. Find an old tee shirt. Preferably one that has a defect under the line at which you are going to add the skirt. Step 2. Cut the tee shirt. I chose to do a dress with an empire waist. BUT, you could also do a traditional waist. If that's what you prefer just make the cut a little lower, at the waistline. Another idea, don't cut the shirt at all. Just add a skirt at the bottom of the shirt for a flapper look. I've seen a couple Carter dresses like this and works well with polo shirts. Step 3. Choose a fabric for your skirt. I choose a piece of fabric I found in my scrap drawer. You want a piece that's about twice the circumference of the waist you just cut. The length will depend on whether you decided to make an empire, traditional or flapper skirt. 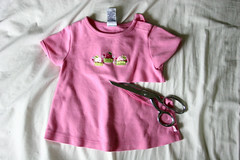 Measure from the bottom of the cut shirt to your child's knees then add an inch for allowances. Take those two measurements and cut your fabric. 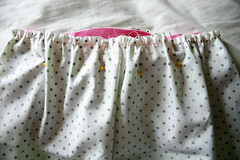 Then fold and sew a 3/4t hem at the bottom. Step 4. Gather the top. In case you don't know how to gather, I'll give you a quick mini tutorial. Set your machine to the longest setting and loosest stitch. Then sew from one end to the other. DO NOT BACKSTITCH! Knot one end. Take the other end and separate the two pieces of thread. Hold the top thread and push the fabric across, creating a gather. Be careful not to snap the thread. Gather the fabric to the correct length. You can figure out the length by lining it up to the circumference of your tee-shirt's waist, adding about 3/4" for allowance. Step 5. Once you have the fabric gathered to the correct length sew the two sides of your skirt fabric together (right sides facing) so that you have a "tube". Step 6. With right sides together sew the gathered tube to the cut tee shirt. To do this, turn the tee shirt upside down and place it inside the skirt. BE SURE THAT THE RIGHT SIDES ARE TOGETHER! Step 7. Turn right side out and you're DONE! Since I used a scrap piece of fabric I couldn't make the length long enough and altered the first photo to appear longer. So I would say that this little dress would fit a 12-18 month old. Perfect!! We get so many stained tees! I don't need to be entered in the giveaway, since my daughter is too big to wear this, but I HAD to leave a comment to tell you that I love this idea and I can't wait to use it with some of our cast-offs!!! Thank you! I can't wait to go home and go through my daughter's t-shirts now! Thanks! Wow! I am so excited about this. Something I can do and I have too many tees to choose from. I can't wait to get started! Thanks!!!! What a GREAT idea! I have 2 girls and a plethora of tee shirts! This is such a great idea! My niece would look supercute in this dress- thank you! That's a great idea , now that I have a new baby girl I'll have to rem that ! What a fun idea ~ with two little grandaughters growing like little weeds I know there will be oodles of t-shirts to play with. 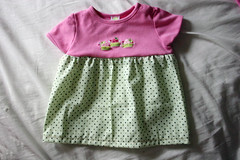 Thank you for sharing this cute "teecycling" dress! Maybe I'll try to do this and offer to my friends who have girls, as I only have one boy. My daughter stains tees just by looking at them- thanks for this. Very cute! Too bad I won't be able to do this with my boys shirts! Maybe I can get a hold of some of my nieces tshirts! Very cute. I love the fabric you used. I've had a few t-shirts set aside for this purpose for a while now. Not sure when I'll actually get to them! How Cute! Thank you for the great info. This is so cute, and would be perfect for my friend's little one for next summer! Can't wait to see more teecycling ideas! Thanks for the tute and the chance to win!! i love this idea, it would work for stained onesises too! OK, you have inspired me to do something with all our chocolate milk stained tee's!!! This is also a great idea if your daughter is tall but very slim. A great way to hide the tummy that is poking out of the bottom of a t-shirt. 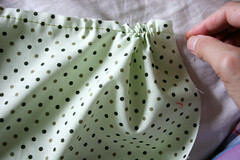 I've been learning how to sew - this is a great project to practice with! Thanks! Cute, I need to try this!!! Creative, and cute not to mention your recycling! Great work. I think it's great that we can introduce our children to the concept of upcycling with these projects. Reusing things and reducing consumerism is a big part of their future. Wow, this is such an easy project. I think I'll try with long sleeve tops for the fall. Thank you so much! Fabulous idea! Can't wait to get started. My wains are too big to wear this one, but I'm going to maks one each for them this summer. And if I can't find an stained tee-shirt I night just use a good one - I love it that much! What a cute project! Unfortunately, my daughter makes all of her stains on the collar of her shirts! But, this would be a great project with some toddler shirts from goodwill! I'm not that great of a seamstress (I decided I didn't like the look of the word "sewer") but I think I could totally make this! So cute! Now, if only I could sew! what an awesome idea - thinks so much - definately going to try this! This is so adorable. Thank you and I can't wait to make one for my little girl. This is so cute. Thank you for sharing. 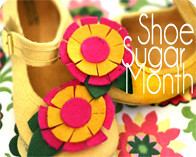 I can't wait to make one for my little girl. Great idea.... so many tshirt too!!!! I have just done my very first "re-fashion". So this is very timely for me. I now have a bit of a taste for this sort of thing. Super cute, I'm totally going to have to do this! You're right about chocolate milk -- what do they put in that stuff?! This is a fantastic idea and tutorial. Thank you! super good. i love a good tshirt recycling. the goodwill bargain bin is awesome for crazy tshirts. i loved making tshirt dresses this summer! can't wait to see whats next! I'm so excited to keep up with your blog now! With a 7.5 month old little girl, I'm just now entering a phase of wanting to make little dresses and looking for good ideas. I can't bear to throw out any piece of fabric or item of clothing that I feel like I can do something more with, so this is great! Thanks so much! This is such a cute and thrifty idea. I, too, hate to toss a good shirt just for a small stain. Hope I win! Would love to win this for my newborn daughter. It would fit her perfectly next summer! cute! now that i'm learning to sew this could be a fun project! Wow, you make it look so easy I might even be able to do it. Hi Kathlene! I just wanted to let you know that I featured you as one of my top 5 blog crushes today! Thought you might want to come see. Have a great day! You are just to smart! Way to go for recycling too. Awesome! I gave this a try today and it was a breeze! Thanks for the great idea! This little dress is way too cute! I'm going to have to try it myself. I would love to win this dress!! This is such a cute idea! 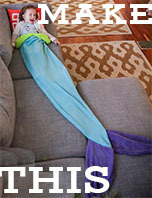 I wish I had a little girl to make this for! So adorable and a great way to recycle! What an excellent tutorial, Thank you so much. I have a hundred ideas for this! 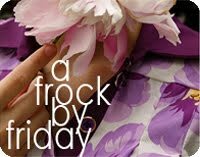 The dress is just adorable too, and I love the coordinating fabric you just happened to have around. Well done! Why, oh why, oh why have I never thought of this?? Thanks! 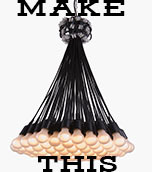 I linked anyway since it is such a great idea! What a great idea, thanks!! Is this really as easy as it looks? Thanks! Thanks for the awesome tute!! I have 3 daughters and plenty of stained tees, I can't wait to get started! This is sooo cute! What a great idea! Think of all those shirts that not only get to small, but get stains on them. Great way to repurpose! My friends often joke about the fact that I can make anything out of a t-shirt. I do love new t-shirt clothing tutorials; thanks so much for posting this one. This week I made a shrug and a skirt and will post my tutorials to www.icouldsewdothat.com this week. Wow that is such a cute idea, if only I had a sewing machine, maybe that will be on my Christmas list. Love these dresses, talk about making it unique. Love it! I love it! What a great way to recycle stained shirts! 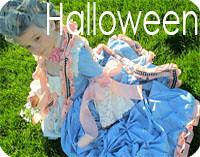 Too late for the contest, but I made a 3 tiered with a ruffle attached, TeeCycle Dress, based on your blog! Love 2 Sew 4 Fun! great idea; i think i'll try it! I love this so much because my daughter has a very long torso and is tall for her age, so most of her shirts either end up being belly shirts with the slightest lift of her arms, or are to fat because we had to buy a size up. Now instead of giving a bunch of Ts to goodwill I think I will play with them like this and see how they turn up. 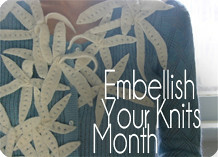 I'll share the link when I'm done and get it on my blog - hopefully I'll have time to do it before Summer ends. its very cute..i think i can try this.. Thanks for the beautiful idea, re-cycling t-shirts are very useful, and some of these designs are impressive. Small girls would love them.